Each year there are transgender people who take their own lives or have their lives taken from them just for being who they are. 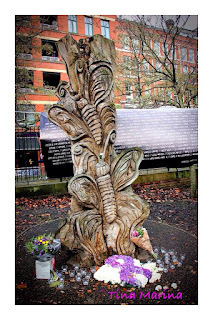 The 20thNovember has been nominated the Transgender Day of Remembrance since 1999, initially in response to the murder of Rita Hester in Massachusetts, USA: and became an international movement in 2010. Since then this event has gained momentum and has been observed in over 20 countries. In the UK the national media have responded with articles and positive portraits of members of the Transgender Community, and this year there was a week long event to highlight Transgender Awareness. In Sackville Gardens, Manchester, on the site of the annual ‘Sparkle’ event is the UK’s Transgender Memorial, where those who are lost to us are remembered in a simple service and vigil. For me, I was working offshore this week working and have had discussions on Transgender issues with some of my work colleagues, I have presented an LGBT awareness presentation to the platform population and took time out to remember. In my own way, I remembered the passing of one of our good friends who was drowned off the back of her sailing boat. She was not officially part of the criteria for the remembrance day, but I took the opportunity to mark the passing of a good friend. However the support has been found in other areas unexpected, as Sky television screened three powerful films on the evening of the 20thNovember that showed the plight of Transgender individuals. The films were ‘grown up’ films, not making the lead character a comic event or a ‘baddie’. The subject matter was treated with respect in all three films and showed the misconceptions and struggles that Transgender individuals must deal with on a daily basis. 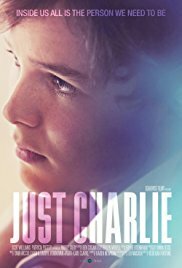 The first film was the British film ‘Just Charlie’, and was about a young football player who felt that they were a girl trapped in a boys body. The film covers the distress of the father and other relatives, the social implications and the rejection that they received to achieve their goals. It portrays the frustration and struggles of the main character, the frustration of the parents and eventually the acceptance and support needed to help them become their true self. I thought that the film was well done, the obvious input by Mermaids and others from the Transgender Community was evident and puts the message over very well. The second was a Chilean film that won an Oscar at the 2018 academy awards for best foreign film, as well as a host of other awards. The story follows a Transgender woman whose lover suddenly dies and her life is put into turmoil over the circumstances of his death and the hatred of his family. It’s a very powerful, artistic and moving film; beautifully made with colorful sets and backdrops, the frustration and rejection of her lovers family overspills into verbal abuse, with the main character trying to maintain her dignity. 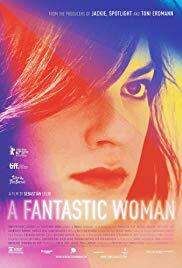 The star of the film is Daniela Vega, a Transgender woman who is also a mezzo-Soprano opera singer and sings the opera pieces during the film. I really enjoyed the film with its pace and delivery, giving me time to piece together the issues surrounding the story and make my own conclusions. 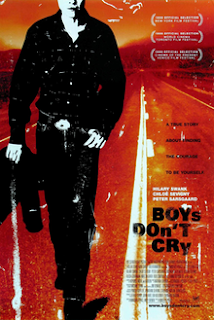 The third film that night was the powerful American 1999 film, ‘Boys don’t Cry’. This is an angry film that is based on a true story of Brandon Teena, a Transgender man who was brutally murdered in Nebraska. The lead role was undertaken by Hillary Swank, who received an Oscar for her performance, however the LGBT community noted the film was often misinterpreted in that the main focus was the Transgender identity aspect being some what lost in the violent ending. Again I enjoyed the film and the gritty story line, the plight of the lead and the compassion of the need to be them selves, the rejection/acceptance of the character and the issues surrounding the perception of being Transgendered. Over the last few years I feel that the mystique of Transgender is being removed and people are now more aware and generally accepting, however there are still uneducated individuals out there who can be very vocal and violent as described in these films, as well as acceptance, compassion and understanding, as is now more evident in daily lives. They are know to us.